Mil M2, Which Questions Should We Ask?, 2016, Germany. 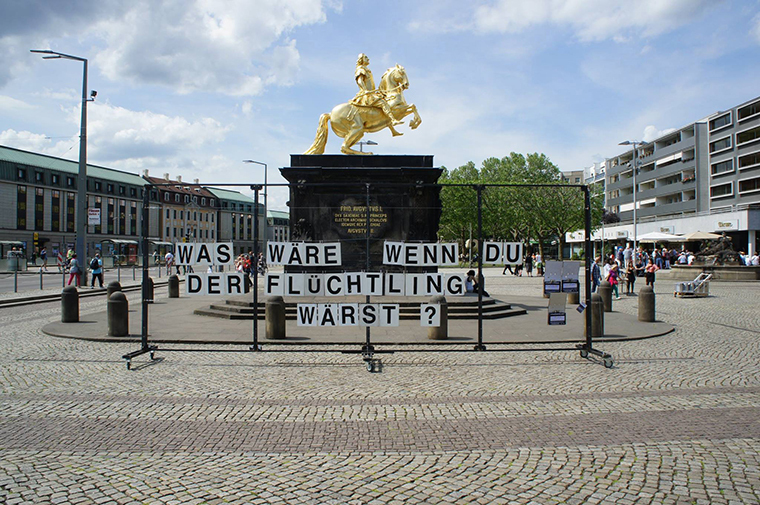 Question Project offers a detailed record and analysis of an international art project, dealing with a critique of participatory politics in the urban realm. 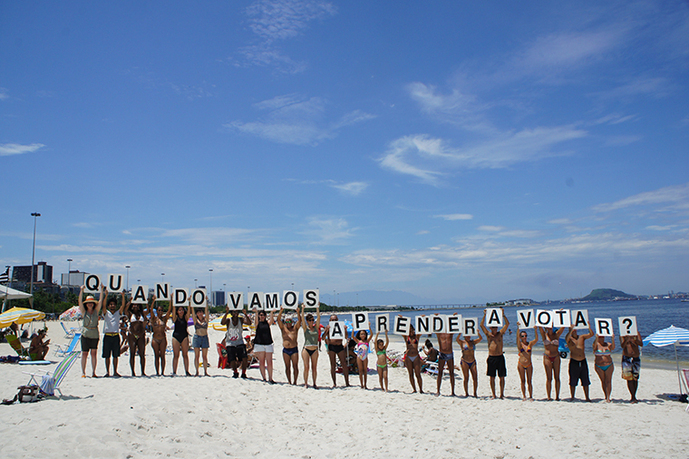 As such, it follows the deployment of "Proyecto Pregunta," a tool for community engagement, designed to foster the collective generation, visualization, and dissemination of debates in public spaces, through a dialogue-based, site-specific participatory performance. 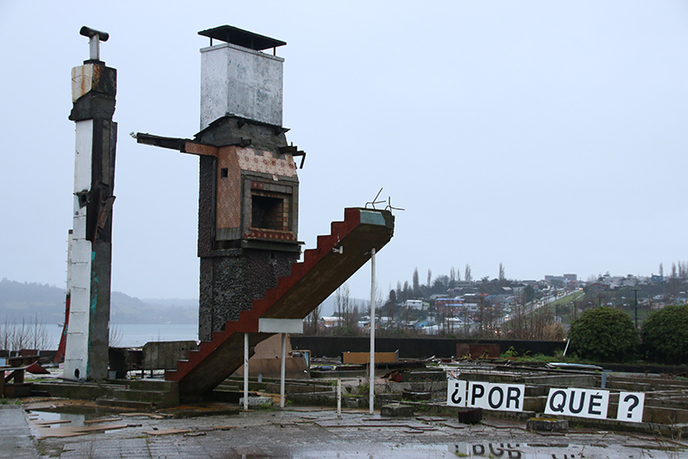 The book examines the four-year-long fieldwork experience of Mil M2—an architecture and art collective based in Chile—engaging with diverse communities, activist, artists, and cultural institutions in the Americas and Europe. The publication consists of a series of essays by an international team of sociologists, architects, curators, and art critics, derived from ongoing practice-based research that takes the visual and written record of these participatory performances as its primary source to unveil new discourses on the intersection of architecture, performance, and politics. Fernando Portal is an architect, publisher, and curator whose work explores the intersection of architecture, art, and cultural policies, by linking cultural institutions with local spatial and economic development. Portal trained as an architect at the Pontificia Universidad Catolica de Chile (PUC). He received an MS in critical, curatorial, and conceptual practices in architecture from Columbia University in 2012. He has worked in a series of art and architecture collectives such as Uro1, Co-op, and Mil M2. He has collaborated extensively with cultural institutions, including the Van Alen Institute, Storefront for Art & Architecture, Arthur Ross Gallery, Columbia Global Centers, the Museo de la Solidaridad Salvador Allende, the Museo Nacional de Bellas Artes, Casa França-Brasil, Hellerau-European Center for the Arts, and the FAVA Foundation. Currently, he serves as adjunct professor and archive coordinator at PUC’s School of Architecture, and as content director of Mil M2, an art collective based in Santiago.